Rong Sun works is a Marie Curie COFUND Research Fellow in the Nanostructured Materials research group at the Department of Advanced Electron Microscopy Imaging and Spectroscopy. Her current research is focused on the structure-property interplay of low-dimensional materials at the atomic scale using advanced electron microscopy techniques. This will be achieved by carrying out ex-situ characterization of the atomic structure and electronic property as well as in-situ experimentation using different TEM holders. She will aim to bridge atomic structure-property of several functional material systems especially two-dimensional materials which are foreseen for many functional applications by combining atomic-resolution imaging in combination with first-principles calculations. She received a Master degree from Chongqing University in China (2008) and a Ph. D. in materials science and engineering from the University of Tokyo in Japan (2015).Since March 2019, she started as a research fellow at the International Iberian Nanotechnology Laboratory (INL). At the University of Tokyo, she mainly conducted experiments on the characterization of defects and interfaces in functional materials and how they affect material property at atomic scale, aimed at tackling fundamental material issues in a broad range of functional material systems. This was achieved by combining the state-of-the-art (scanning) transmission electron microscopy with density-functional theory calculations. She has (co-) authored 26 peer-reviewed SCI-indexed papers in journals including Nat. Commun. JMCA, Appl. Phys. Lett. etc. In addition, she has also delivered several talks in international conferences. Low-dimensional materials have gained increasing attraction for their unique physico-chemical properties due to their high aspect ratio, unusual surface chemistry, and quantum size effect. These unusual properties render them to show promising application in catalysis, solar cell, quantum devices, spintronics and so on. However, defects often exist in these materials and play a fundamental role on the functional properties of low-dimensional materials. The aim of the COFUND project is to study the atomic and electronic property of a series of 1D/2D-dimensional materials at the atomic scale by employing state-of-the-art aberration-corrected TEM/STEM imaging and spectroscopy. 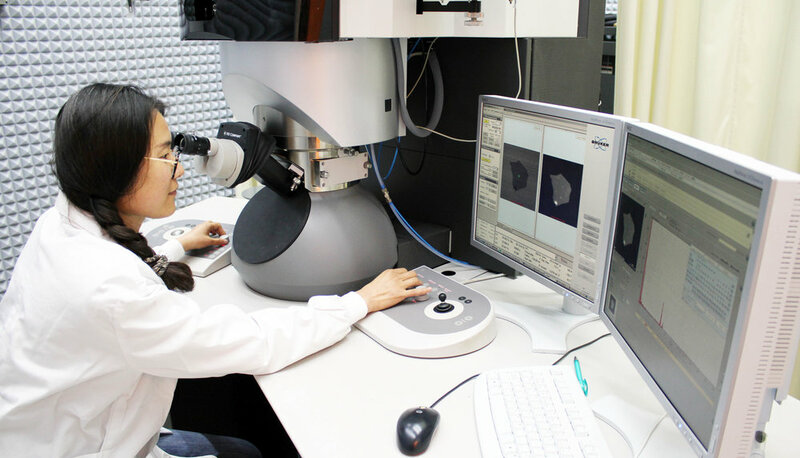 Each individual atomic defects and linear defects such as grain boundaries and how they mediate electronic and physical property will be investigated at the atomic level.